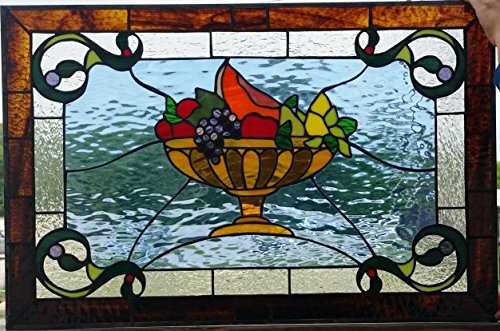 This classy and colorful window was created for our customer's kitchen. Size is 29 1/8 x 19 1/8. This window was designed to match with another window we did for this customer, in a victorian style This can be ordered in any sizes and color that compliment you decor. Contact us to begin your custom project today!!"